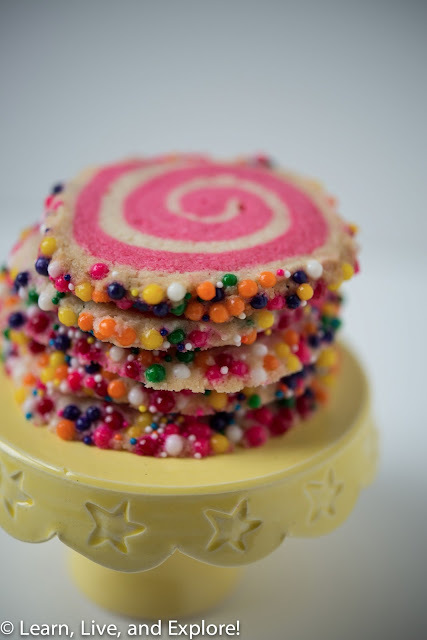 Sprinkle Swirl Cookies ~ Learn, Live, and Explore! I wanted to bake some cookies for my friend's birthday party this weekend, and what screams birthday more than multi-colored sprinkles? 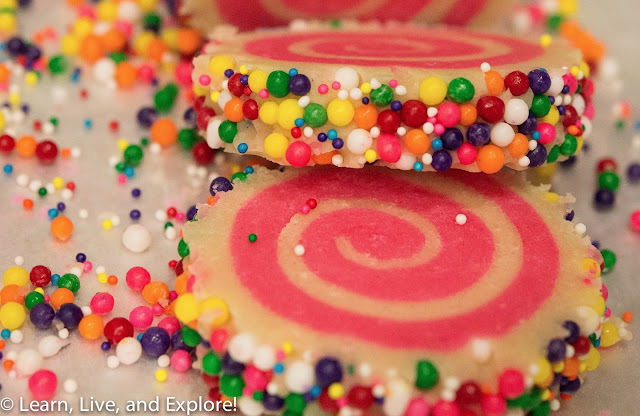 In this case, I'm experimenting with some Wilton Jumbo Nonpareils I found at my local Target. 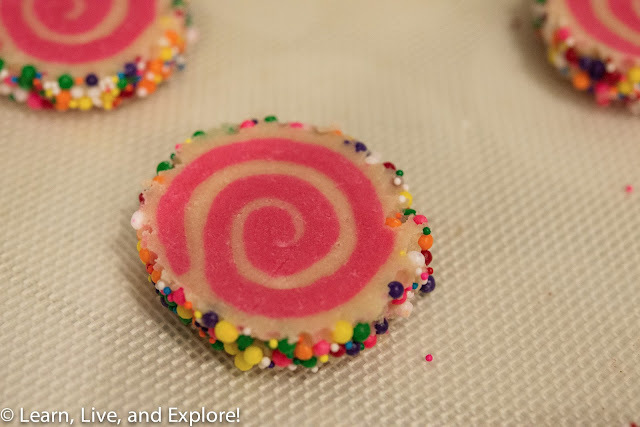 I originally saw a recipe for these swirl cookies on Sprinklebakes, but if you search on the internet, there are many variations, and I actually decided to use this one from Pip and Ebby, making some modifications of my own. I liked that her recipe called for all purpose flour, and not cake flour. 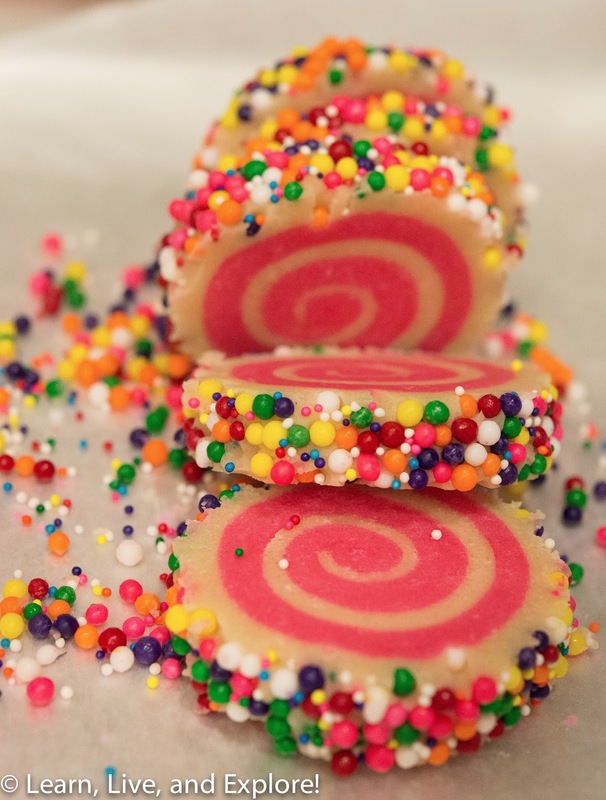 The key to this recipe is to use a food processor because the butter is cold butter, and it blends with the dry ingredients a lot better when it gets finely chopped by the food processor. Look at the Sprinklebakes version for additional hints on preparing the cookies. Remember, her ingredients are slightly different. I actually was not happy with the baking outcome from this recipe. My cookies flattened out too much, so I'm not quite confident Pip and Eddy's modifications were for the better. Maybe next time I'll try Sprinklebakes' version. 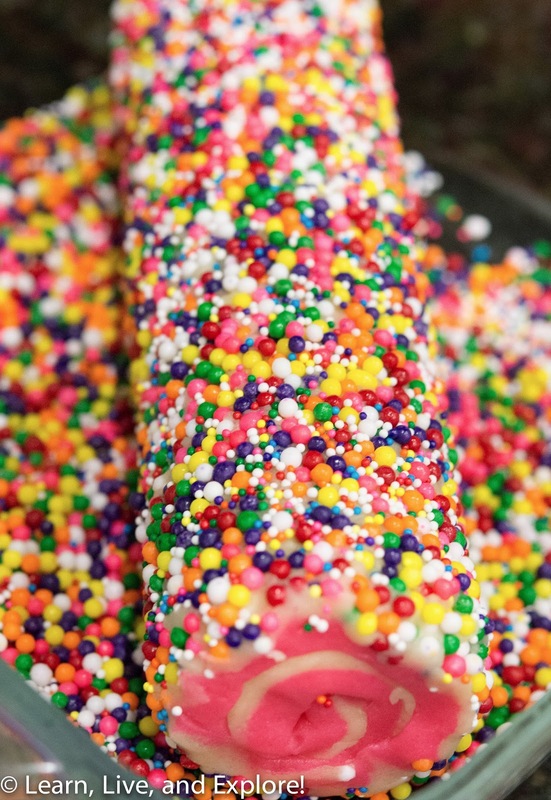 The flavor ended up coming primarily from the fruity flavors of the jumbo nonpareils.